It is not just accounting; the phrase”elegant accounting” implies effective and efficient accounting. We are an accounting practice that helps and supports all taxpayers in particular small businesses and individuals. In other words, we are committed to providing a value for everything that we do. 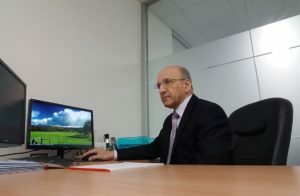 Although the Australian Taxation System is complex and requires professionals to be abreast with the endless changes in the taxation law, it is a discipline that we had a passion for and a challenge that we are willing to take. We practice all accounting and taxation tasks with professionalism and devotion. We shall do everything accounting from setting up your business to preparing financial statements and tax returns, and we shall comply with the laws. Further, our office is elegant, modern and comfortable. Although an appointment is the preferred method to meet with clients, you can still visit us any time. I have been running Elegance Accounting since 2009 as a sole trader, and I proudly achieved my objectives by providing caring quality services to all my clients whether they are individuals or small businesses owners of any size at reasonable and affordable fees. Below is a summary of my experience, qualifications and objectives. Twenty years experience in financial and management accounting as well as general taxation.